The Global Information Grid (GIG) is an all-encompassing communications project of the United States Department of Defense. It is defined as a "globally interconnected, end-to-end set of information capabilities for collecting, processing, storing, disseminating, and managing information on demand to warfighters, policy makers, and support personnel." The Global Information Grid is the U.S. Military's (2nd beast of Revelation 13) intelligence gathering system. Satan is the Prince of the power of the air. What is in the air? TV signals, radio signals, cell phone signals, computer signals, internet, emails, chats, user profiles, etc. The New World Order is satanic and they control everything that you see on TV, hear on the radio, and soon they will control everything you read on the internet. Satan also records and collects data about you using these airwaves. Electronic profiles exists for every person who accesses the internet, shops in stores using RFID preferred shopper discount tags, shops online, uses a cell phone, tablet, or uses anything electronic to access the "air waves" and RFID tracking systems that exist in every aspect of consumerism. Satan is the deceptive Prince of the power of the air (airwaves). All the information collected about you is used to establish individual personal electronic profiles. This information is stored in data centers which are part of the information grid. 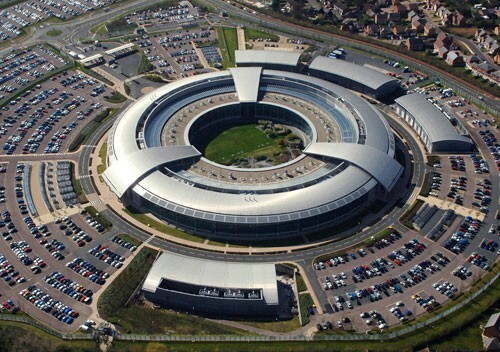 The UK has the Global Communications Headquarters or GCHQ, nicknamed "The Doughnut". The building is modeled after the occult triquetra. 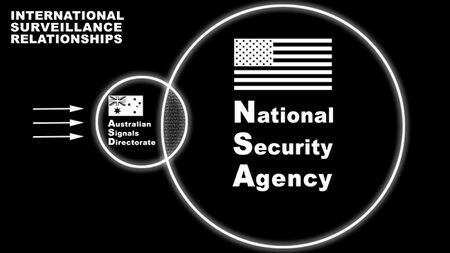 The Canadian version of the NSA is called "Communications Security Establishment.."
In Australia and New Zealand, "Pine Gap" is one of projects where data is gathered. 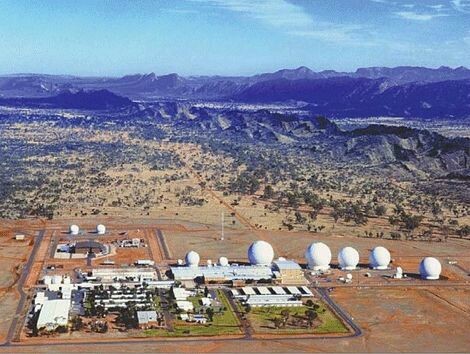 Located south-west of the town of Alice Springs, Northern Territory, it is operated by Australia and the USA. The King James Bible tells us that most of the people of Earth will go through the end Times holding onto their sin. Revelation 9:20-21: And the rest of the men which were not killed by these plagues yet repented not of the works of their hands, that they should not worship devils, and idols of gold, and silver, and brass, and stone, and of wood: which neither can see, nor hear, nor walk: Neither repented they of their murders, nor of their sorceries, nor of their fornication, nor of their thefts. Please do not be counted among those who are mentioned above. Today is the day of Salvation. Repent, choose Jesus Christ - choose Life.